Ivy Circle Berlin: May 2018 Stammtisch – The Yale Club of Germany e.V. just a quick reminder that the next Ivy+ Stammtisch Berlin is coming up this thursday. The last stammtisch brought around 40 alumni together! 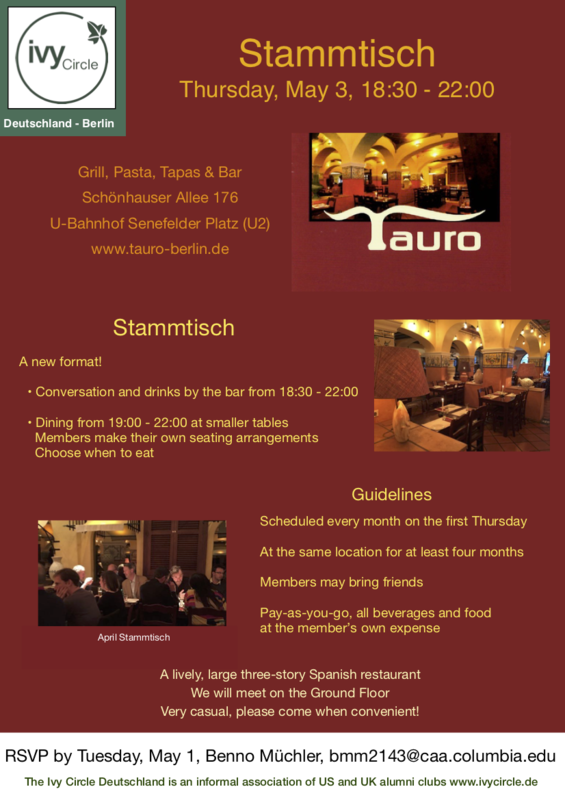 If you are on facebook, make sure you join the Ivy+ Stammtisch Group.